The fear of losing a home is very real to many Las Vegas homeowners. In a metropolitan area that has suffered massive unemployment, profound real estate depreciation and extraordinary foreclosure rates, many homeowners have been searching for a viable way to keep their homes. For homeowners who qualify (and whose lenders are willing to cooperate), loan modification can be a powerful solution. Loan modification means that a lender changes the terms of a borrower’s loan. In most cases, this means that the interest rate is lowered, fixed or both, which can result in a lower monthly payment and thus a more affordable situation for the borrower. In many situations, a loan modification can also bring a loan current by adding delinquent payments onto the loan. In rare cases, it can also change the term of the loan or involve reduction of the principal, the amount that is owed to the lender. Threatened With Foreclosure? We Can Help. 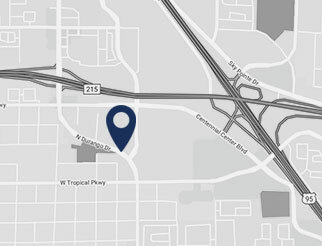 We are not an out-of-town business; we are a local firm with a commitment to the community and a focus on improving the financial lives of our clients. Loan modification myths and scams are rampant in Nevada and throughout areas hard hit by the housing collapse. If you believe that a modification could help you keep your home, Las Vegas loan modification attorney Taylor Randolph can give you straight advice on how to proceed. Contact Randolph Law Firm for a free consultation with an experienced lawyer.